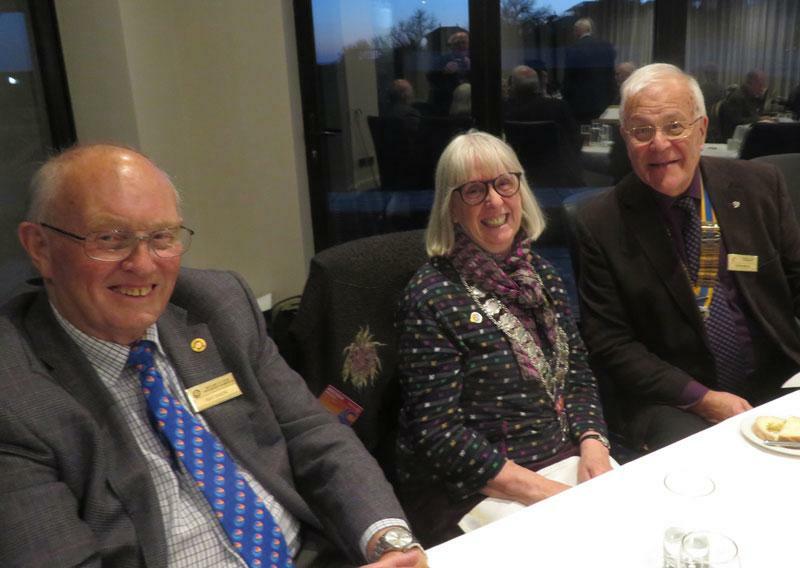 District Governor Brenda Parsons and past DG Ray Dixon were welcome visitors to the club’s business meeting on 10 April. During the meeting Brenda presented President Dave Miles with a certificate to mark the contribution the club has made to the End Polio Now campaign. After the business Brenda spoke about her impressions of the club and praised the programme, the activities and the social interaction. She also spoke of Emergency Response Plans which are initiated in the wake of local disasters; there is at present little involvement for Rotary in the District and she has recently attended a meeting hosted by the two Sussex Councils to hear about the projects and how Rotarians can become involved – as volunteer helpers not as administrators. Brenda hopes that clubs in the District will put their names forward when more information is announced.